Home Conspiracy	Clear pictures of the BLACK KNIGHT UFO satellite! 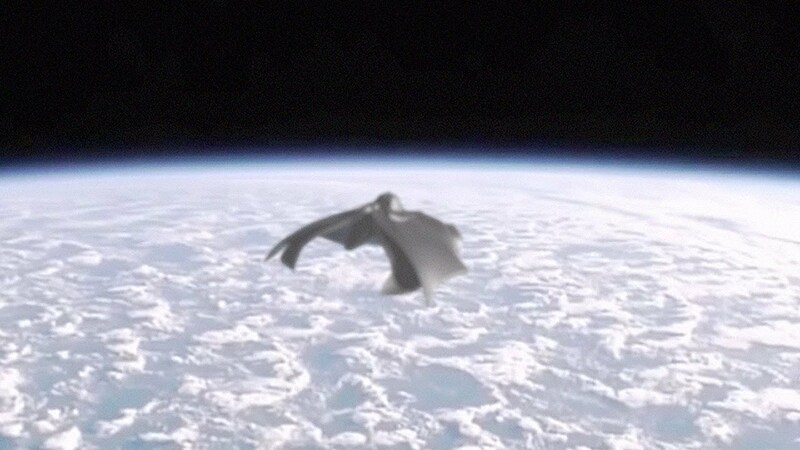 Clear pictures of the BLACK KNIGHT UFO satellite! The Black Knight is an artificial satellite of extraterrestrial origin which has orbited Earth for approximately 13,000 years; the “satellite” story is most likely a conflation of several disconnected stories about various objects and their interpretations, all of them well documented independently and none using the term “Black Knight” upon their first publication. According to senior education support officer Martina Redpath of Armagh Planetarium in Northern Ireland. The origin of the Black Knight legend is often “retrospectively dated” back to natural extraterrestrial repeating sources supposedly heard during the 1899 radio experiments of Nikola Tesla and long delayed echoes first heard by amateur radio operator Jorgen Hals in Oslo, Norway, in 1928. Brian Dunning of the Skeptoid podcast attributes Tesla’s 1899 radio signals to pulsars, which were not identified until 1968. In 1954, UFO researcher Donald Keyhoe told newspapers that the U.S. Air Force had reported that two satellites orbiting Earth had been detected. At that time, no country had the technology to launch a satellite. Skeptics have noted that Keyhoe had been promoting a UFO book at the time, and the news stories were likely written “tongue-in-cheek” and not intended to be taken seriously. A British rocket called the Black Knight rocket was used in conjunction with the Blue Streak missile program between 1958 and 1965, to test re-entry vehicles. A “Black Knight satellite launcher” project announced in 1964 was considered a priority by the Ministry of Aviation. The program never put anything into orbit, and it is unrelated to the Black Knight satellite legend. In 1963, astronaut Gordon Cooper supposedly reported a UFO sighting during his 15th orbit in Mercury 9 that was confirmed by tracking stations, but there is no evidence that this happened. Neither NASA’s mission transcripts nor Cooper’s personal copies show any such report being made during the orbit. In 1973, Scottish author Duncan Lunan analyzed the long delayed radio echoes received by Hals and others and speculated that they could possibly originate from a 13,000 year old alien probe located in an orbit around the Earth’s Moon. He suggested that the probe may have originated from a planet located in the solar system of star Epsilon Boötis. Lunan later retracted his conclusions, saying that he had made “outright errors” and that his methods had been “unscientific”.